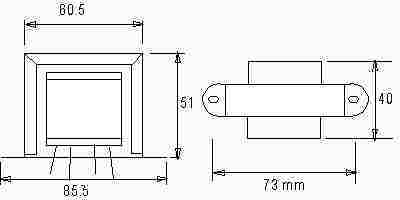 APPLICATION For use in a high performance valve compressor/amplifier etc. 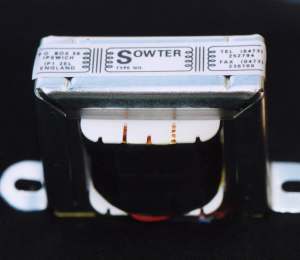 Designed for use with a double triode such as an ECC83 or 6SN7 in push-pull driving a nominal 600 ohm line. We recommend using a secondary load resistor. 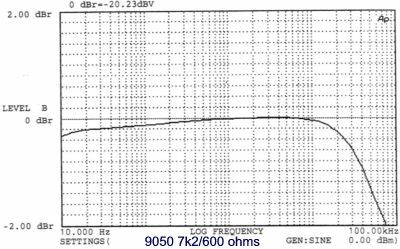 600 ohms will provide a constant reflected anode to anode load of 16000 ohms when the amplifier is feeding a typical 600 ohm line. This also lowers the effective output impedance of the amplifier. FEATURES Combination core using High grade Grain Oriented Silicon Iron (M6) and Mumetal (76% Nickel). This provides a high level capability, exceptional bandwidth and transient response which is maintained over the full dynamic range. This core also permits the use of a relatively high ratio which ensures a low output impedance for driving lines or complex loads.